I like the design and fitting for most. Initially it was the design that compelled me to order. The fitting is great, thanks to the size chart. The delivery service was so fast! This is my second order I received from this store, and as the previous one, it is also perfect. The size is good as I ordered XL. I am so impressed by the fitting it gives me. Great! 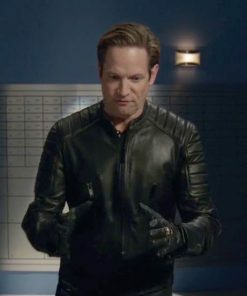 The Eobard Thawne leather jacket is crafted from real leather and includes a viscose lining that is stitched inside. It also features two inside pockets, two outside pockets, an erect collar and a front zip closure. The presence of detailing done on the deltoids, elbow, and shoulders further is a source of elegant looks. 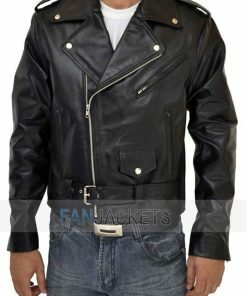 Avail this black biker leather jacket now that you can get at a reasonable price.